Many of you have seen, and used, the orange books floating around the studio. Some of you may even own a copy of "Cushing's Handbook." I purchased my copy during a summer course I was taking at Alfred back in 2003. 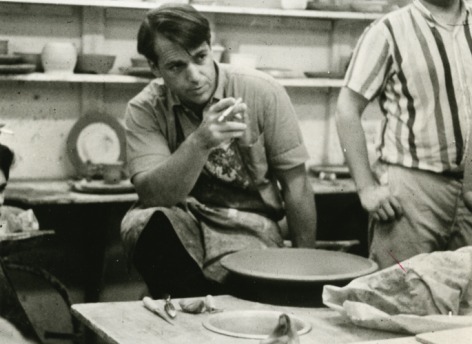 Although Val wasn't teaching that summer (he had already retired), I was introduced to him and he invited me out to his studio to have a look around and talk about a career in ceramics. At the time I really didn't know who I was talking to, but in the years since, the words and advice that he gave me have rung clearer and clearer with time. He was exceptionally generous, full of wisdom, and he made a lasting impression. Although we only spoke for an hour or two, Val's generosity made a real impact on my life. So, when you see those orange books sitting around...remember Val, and everything he has done for our field. Follow the link for Val's obit on CFile.